For syncing files from iPhone to iTunes or downloading music, video, TV shows, etc. from iTunes to iPhone, iPhone users need to connnect their iPhone to Windows/Mac computer and launch iTunes. However, some iPhone users recently reported an issue that they couldn’t sync their iPhone because it was not recognized by their Windows computers. The main issue is that they connect iPhone to their computer and press “Trust” button on their iPhone, expecting it to show up on “My computer”. Unluckily, their iPhone refuses to show up on iTunes, which means “Windows not recognizing iPhone.” “iPhone not recognized by Windows” has been an increasingly frustrating issue for some iPhone users. Here is good news. the issue of iPhone not recognized by Windows 7 or Windows not recognizing iPhone can be easily fixed and solved by simple tricks that will be unveiled in this post. Pay attention to every method that will be discussed in the following guidance. To ensure you are having this issue, you need to carry out some test to set up the fixing processes. 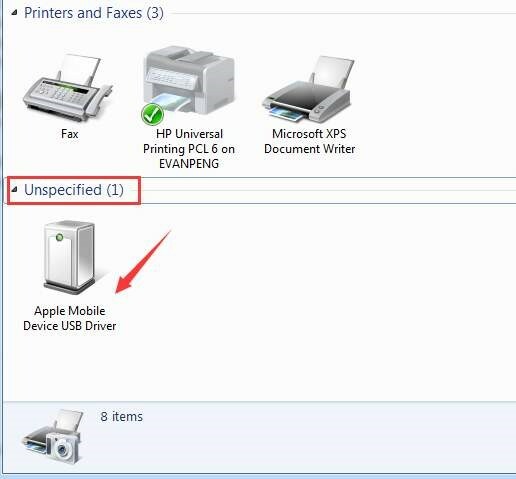 If Windows does not recognize iPhone, it will display this way in “Device Printer”. 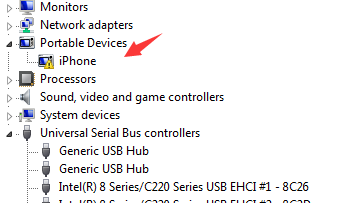 Go to Control Panel > Hardware and Sound > Devices and Printers, it will show in the unspecified section as “Apple Mobile Device USB Driver” as below. On your iPhone, press the “Trust” button. Make an attempt to try another USB cables as well as USB ports to see if the same problem persists. Fixing this Windows not recognizing iPhone problem only requires simple steps which can be carried out through different methods as discussed here. Your iPhone not recognized by Window 7 or other Windows will be a thing of the past after following the steps as directed in each of the methods. Step 1. Connect your iPhone to computer and wait for some time until the device is recognised. Step 2. Right-click “Computer”, Go to “Device Manager”. Then expand category “Universal Serial Bus controllers” and locate “Apple Mobile Device USB Driver”. Step 3. 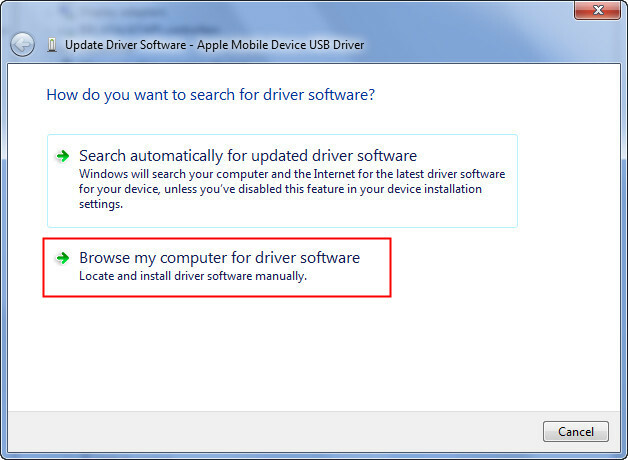 Right-click “Apple Mobile Device USB Driver” and click “Update Driver Software”. On the pop-out window, choose “Browse my computer for driver software”. Step 4. Choose “Let me pick from a list of device drivers on my computer” and click “Next”. Step 5. 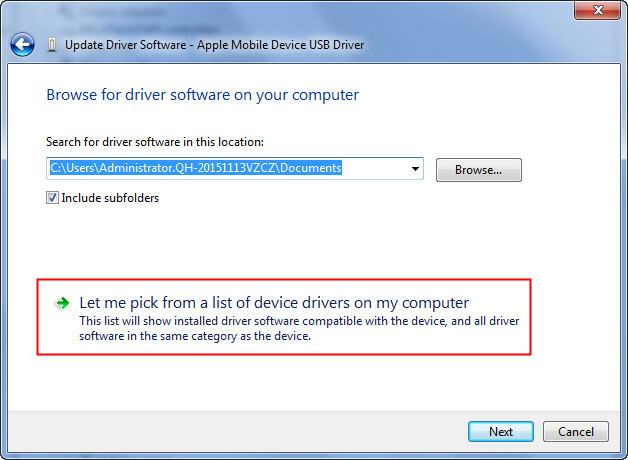 On “Update Driver Software – Apple Mobile Device USB Driver” box, click “Have disk”. However, if this button is not available on this box; click a device category like “Mobile Phone” or “Storage Device” in case if that is what you see. Step 7. 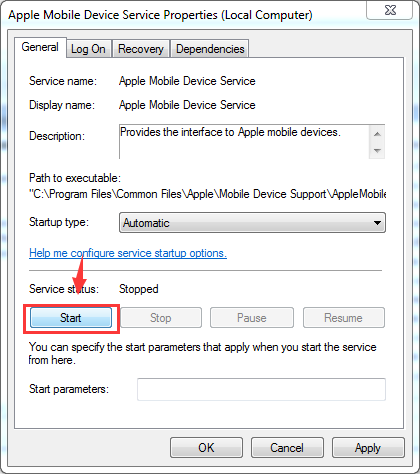 Navigate to “C:\Program Files\Common Files\Apple\Mobile Device Support\Drivers”. Then double-click the usbaapl file. If you have a 64-bit version of Windows, this file will be called usbaapl64. 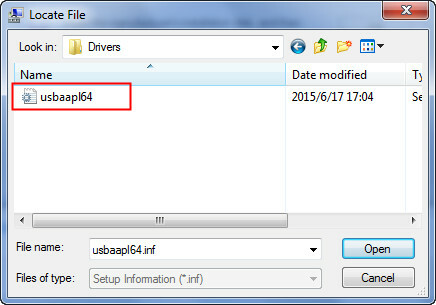 If you don’t see usbaapl64 here or if there isn’t a Drivers folder, look in “C:\Program Files (x86)\Common Files\Apple\Mobile Device Support\Drivers”. Step 8. 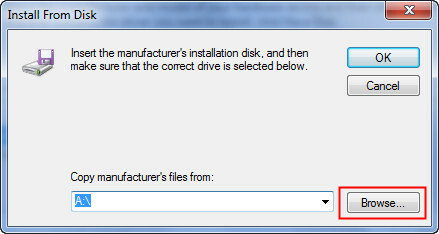 On the “Install Disk” window, click “OK”. Step 9. 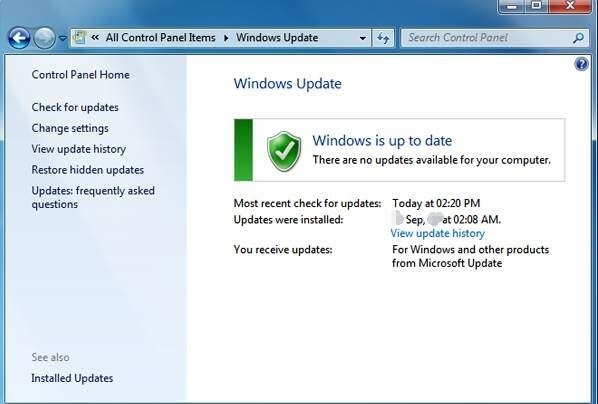 Click “Next” and after this, Windows will assist you with the driver update. This method is applicable when you see a pop-up notification during the connection of your iPhone to the computer. 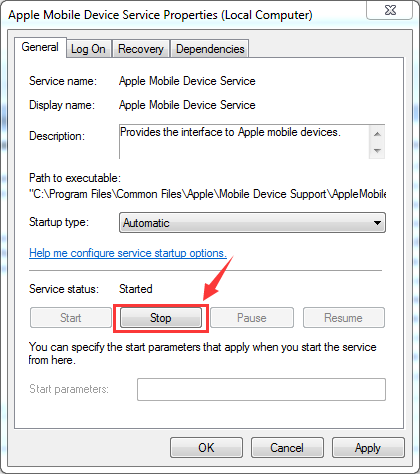 The notification is “This iPhone cannot be used because the Apple Mobile Device Service is not started” as shown below. Step 1. 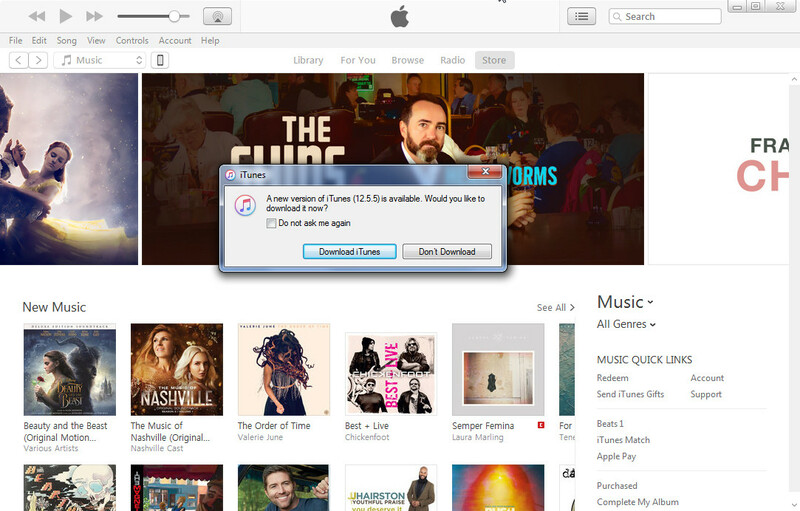 First, close iTunes and also disconnect your device from your computer. Step 2. Then press the “Windows key” and “R”, the two keys at the same to trigger a “Run” command. 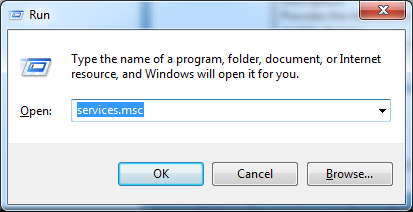 Type in this command “services.msc” and press “Enter”. Step 3. 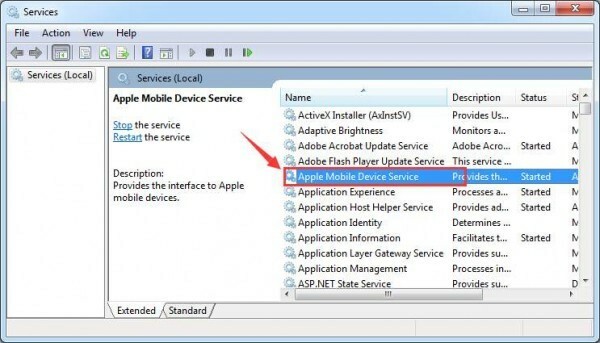 Find and double click “Apple Mobile Device Service”. Step 4. Navigate to “Startup type” and change type to “Automatic”. Step 5. Go to “Service status” and Click “Stop” to stop the service. Step 6. After the “Service status” has stopped, then click “Start” and click “OK”. Step 7. Then restart your computer. Connect your device to computer and see. Step 1.Go to “Device Manager”. 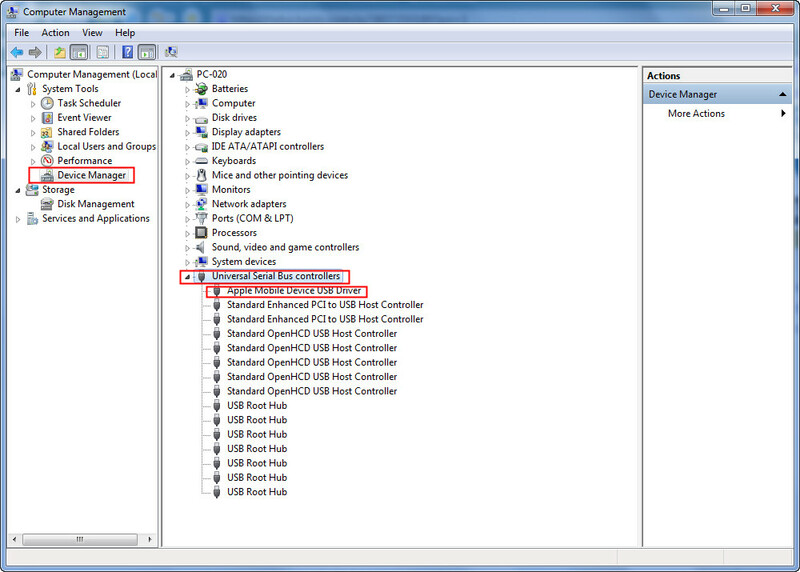 Step 2.Drop down “Universal Serial Bus controllers” option as shown in the below image. Step 3. 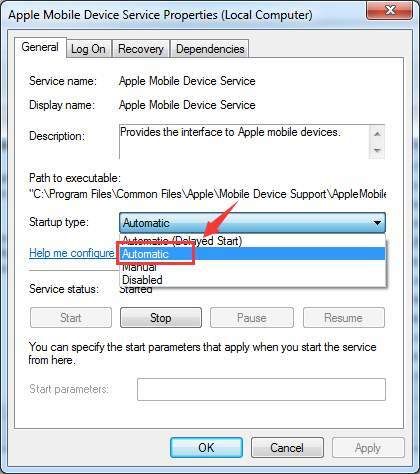 Right click “Apple Mobile Device USB Driver” and scroll down to choose “Enable” as shown below. 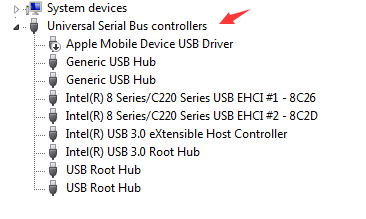 You can make use of this method when your device is listed under “Portable Device” as against “Universal Serial Bus controllers” displaying with a colored (yellow) exclamation mark as shown below. To fix this anomaly, “Driver Easy” is highly recommended to be used. You can freely download this driver and use it for free. You only need simple steps to follow to use this “Driver Easy”. Step 1. Click the green “Scan Now” button to scan for the available new drivers. Step 2. 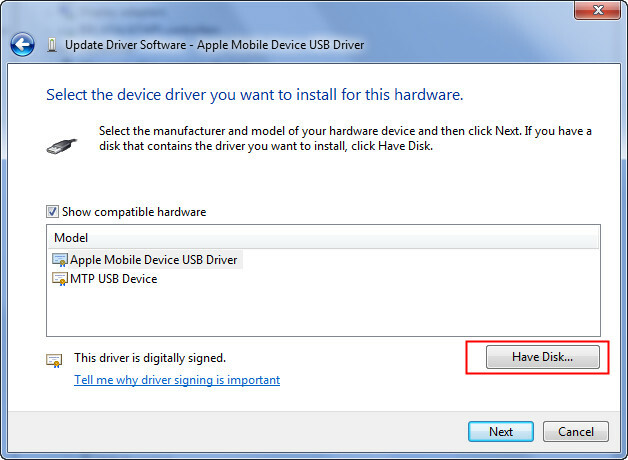 Scroll down to the “Apple Mobile Device USB Driver” and click “Update” button next to it as shown below. You are now set for your update. That is all that is required of you. Fixing your iPhone not recognized by Windows issue has been clearly described by using different methods based on the different situations. However, it is advisable always to stay updated to avoid any form of issues your iPhone may have.